Wonder if they read him rights before they pulled his string. 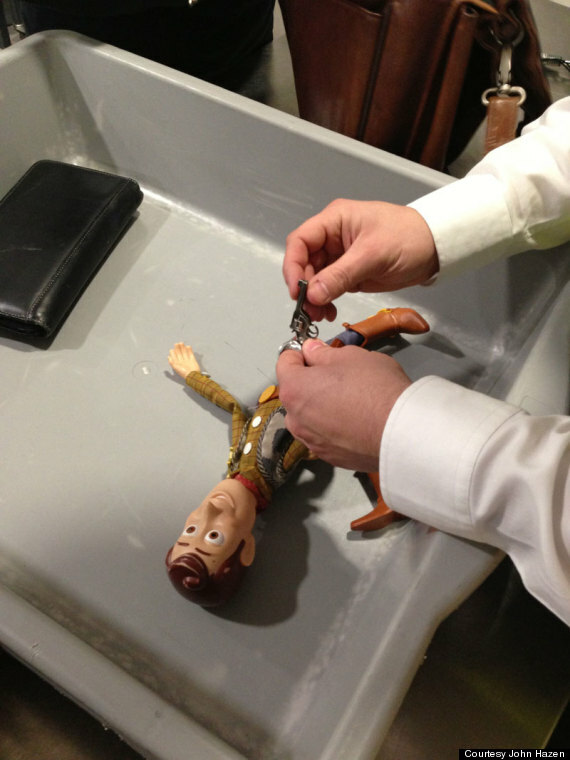 Another gun-wielding toy has had its weapon seized by airport security. After a cowboy sock monkey Rooster Monkburn had his tiny harmless weapon seized last year, a Woody doll underwent similar probe at London’s Heathrow Airport. Healthrow traveler John Hazen posted a picture of his son’s figurine to the social-media website Reddit on Tuesday showing a security official removing the doll’s gun. “At Heathrow, security just confiscated his ‘weapon,’ keep the world safe boys,”​ Hazen wrote on the site. The doll does not usually come armed with gun — it was an accessory the family added.